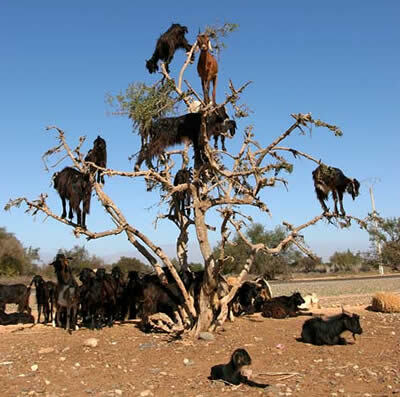 Totally awesome goats found at 7 Incredible Natural Phenomena you've never seen. Hehe, 'biosphere preserve' is an amusing typo. And amusingly placed. It could totally be the more market-friendly name for a condiment made from goat poo extract! Problem solved.